A company named Stones Building Materials Trading L.L.C is looking for 3 to 4 Part Time workers to work as a steel fixer, steel airing for wall cladding in Al Qusais Dubai. 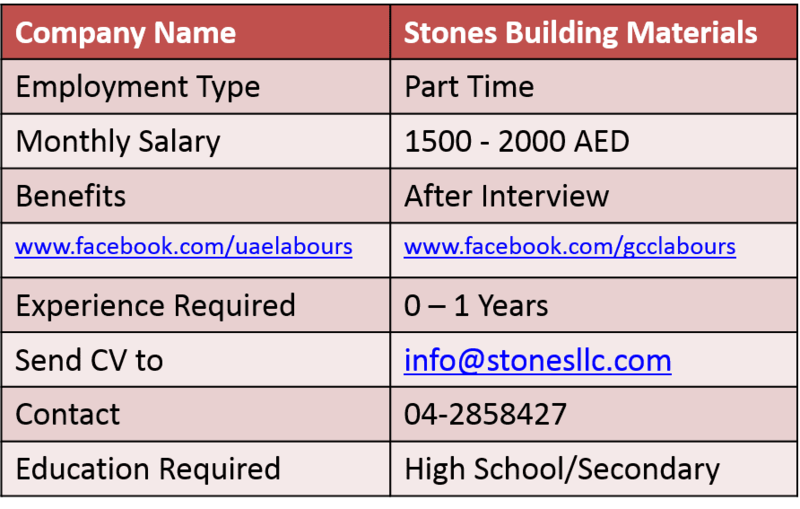 Any Nationality with experience in wall cladding as a steel fixer in UAE. Only serious candidates who can work as a Part Time worker.